Jay Leno referred to Taoiseach Brian Cowen (Ireland's Prime Minister) in his September 22 monologue and, well, it's a big deal here despite the fact that Leno is not all that well known in Ireland. During the segment (seen here) Leno showed a picture of Cowen and asked the audience if the man in the picture was a "bartender, politician or comic." At the end Leno remarked that it was nice to know that America hasn't cornered the market on drunken morons in politics. This Leno piece was clearly inspired by that interview, which was the source of the last big brouhaha to hit these shores. Irish people are mostly embarrassed that the Taoiseach was featured in such a manner, one that reinforces a long held stereotype about Irish people. Some are even concerned - again - that those movers and shakers in the world of business and finance will hold this against us and cause us even more financial pain. Last night Ireland's most po-faced commentator, Vincent Browne, asked the question, "Does Jay Leno's remark damage Ireland?" Browne definitely thinks so. I'm doubtful, not least because Americans are more used to Leno's use of such caustic humor and every American politician of note has been zinged by Leno at times. 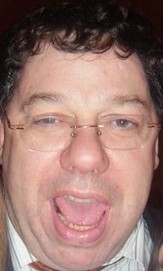 I think we can safely assume that the bond traders don't give a hoot whether Brian Cowen socializes a tad excessively and foolishly allows himself to be photographed during one of these social occasions. From all that I know about bond traders, many of them are not above indulging at the occasional social outing. I am sure many of them would have seen that picture and thought, "Hey that Cowen's all right." Furthermore, as I said two weeks ago, I doubt decisions of direct investment will be affected by Leno's short segment. However, there's also a possibility the picture of the Taoiseach clearly having a good time might appeal to some Americans, encourage them to visit, which is not to be sneezed at on a day when plans to increase tourism numbers was announced. The economic impact of Leno's remark will be, I'd assume, near to zero, but possibly slightly positive. As for the stereotype, well that's a little trickier. The people of Ireland have a strange relationship with their image as drunks: they can get offended when someone in the non-Irish media makes mention of it (e.g. Leno), but at the same time it seems that most people here almost take pride in the nation's reputation for drinking. I'm not just talking about undergraduate or pub talk either. I've heard people discuss the country's drinking on morning news programs as if it's a positive, as if it's just a bit of amusement and "isn't it great to be the world leaders in something." I've always found that strange. Drinking too much, too young is a big problem here. That's the question that should be asked: are we too comfortable with drinking and drunkenness? Are we steering our young people down the wrong path with our ease with the overuse of alcohol? Stereotype or not, that is the real problem here, not something said by Jay Leno about the Taoiseach.